I don’t like spending money on new equipment, but this did look like an expense that could be justified. 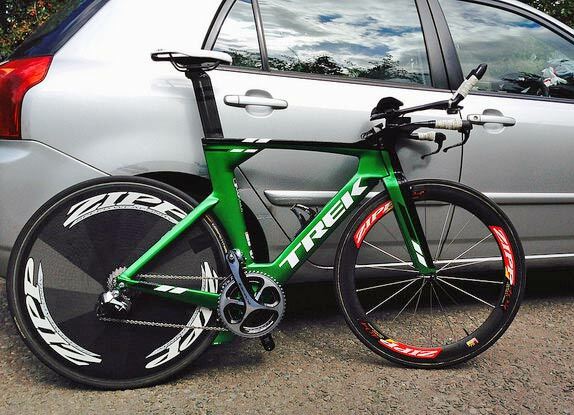 Lighter and more aero and looks beautiful – the only doubt was could it replicate the comfort of the Adamo? The other thing about Dash was that there was a confusing choice of options. From the ultra minimalist Dash Tri .7 ‘Time trial’ version to the longer Stage .9 and wider strike .9 options. I thought the Strike would be the safest option because it closely replicates the shape of the Adamo. However, it was tempting to get the smaller tri option. I was able to test all three models, which was good. However, after a few hours on the rollers, it was still pretty hard to tell. Rather than helping, riding the saddles made the decision harder. 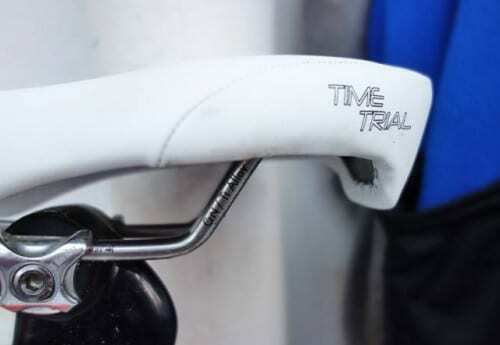 The Tri felt the most comfortable, but I worried what it would be like in a 12 hour and when riding hilly time trials, when you do a lot of climbing in the seated position. In the end, I decided that the one for me was the Dash Strike – giving the widest range of positions, but still being an incredible 115 grams. You can hardly see the Dash saddle on the bike! When you first get on the Dash saddle it feels quite different. Like many saddles it takes quite a bit of getting used to. It will take at least three rides to really get the feel of the saddle. So far, I have had a good experience riding it. It is comfortable in TT position, and also on recovery rides when you are not in TT position. I’ve used it in 25 mile TT and hill climb. It is slightly narrower at the front and has not resulted in any chaffing. It has helped prevent than pineal discomfort you get with regular saddles. Even now, I’m not sure I chose the right option. I don’t think you use the big of the saddle at the back. But, when I was riding the Tri version, I was worrying that I might need a longer saddle. On the plus side, I’m really happy with the weight saving over last saddle. Also, it looks so much more aero and sleek than the Adamo. If you buy a saddle you can get to choose many different combinations – you can choose colour of saddle, colour of rails and also the amount of padding in the saddle. All saddles are hand-built and take a few weeks to come. This of course is reflected in the price. On the downside it is expensive. $399 from Dash in the US. £300 from Ubyk in the UK. There are not many people stocking it. The other thing is that I know Dash mean well by offering different shapes. But, it does make it hard to choose between them! 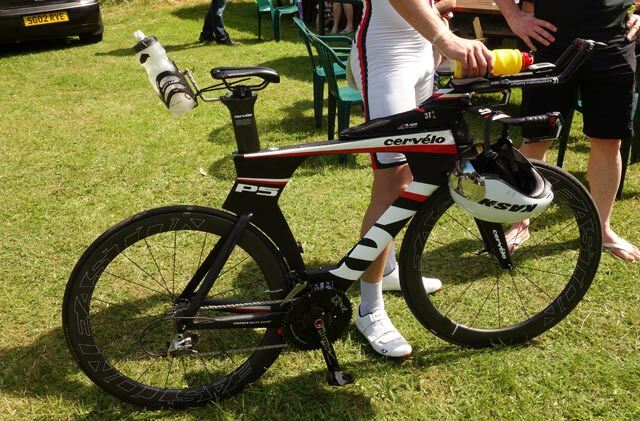 Dash Tri 7 saddle on Cervelo P5 used in ECCA 100 mile TT. It is a minimalist saddle, nothing is wasted here. I’m too nervous about using for longer time trials, so decided against it. I used in national 12 hour time trial 2016. I finished 2nd in a distance of 284 miles. Saddle worked like a dream. No numbness of discomfort. Buying a dash was a tough process. But, they are very good. Still I need to test more in longer time trials to offer a full comparison of long term comfort, but I feel fairly confident it will be good. However, I still feel there is a gap in the market between the Adamo and Dash. 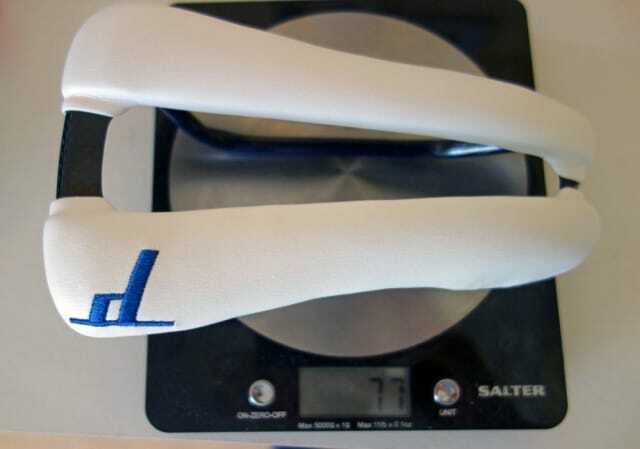 You could make a mass produced saddle with good anatomical shape which is light and aero, but not so expensive. Adamo also ought to seriously look at their saddles before they get left behind. It feels like they have excellent design and basic concept, but have used cheapest materials, and are kind of letting themselves down. Wow, you bought one! I’ve looked at these many times and was suprised to see our local shop Ubyk as one of the few sellers in the UK. In the US they do a trial programme so you can try it for 2 weeks and return it if it doesn’t work for you. Do we have that here in the UK too? I have looked at them many times but so far haven’t been able to commit to parting with the cash! Just out of curiosity I have tried on numerous occasions to sit on the rollers for a few hours during base training earlier in the year but found the pain to much. I plan to got back to the idea once cyclo cross season ends mid December and do some level 2 workouts from training and racing with a power meter ranging from for 2.5 to 3 hours but am wondering how I will get around the discomfort. I have upgraded my saddle and not attempted a long rollers session since then but I will later on this week. Which do you think will be best solution for the problem. Will finding another saddle better suited to me be the next option or get a high quality pair of bib shorts like assos s5/s7? (my current bibs is are all in the low cost sub £60 category). Good shorts definitely helps i recommend the assos. Also, every 30 minutes, try get off the rollers for 1 or 2 minutes. I also find rollers painful and don’t usually do more than 90 minutes. Just purchased my first TT bike and will be replacing the saddle. I am looking at the Adamo or the Cobb and am leaning toward the Cobb. I have heard nothing but good things. What are your thoughts? Hi Rick, not tried the Cobb yet would be interested to hear what it’s like. Any update on the Dash when used in longer distance events, particularly 100’s? Also, have you managed to successfully mount a Scorpion rear light to one? 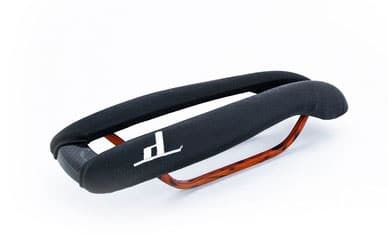 [I currently use an Adamo TT and whilst this is fine for 10’s and 25’s I do get considerable pain (not numbness) around my sit bones when I do 50’s. 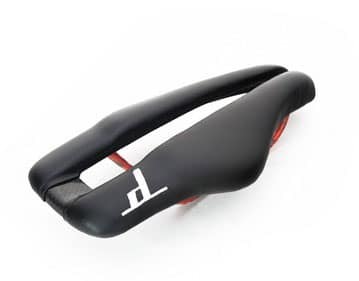 I have been thinking about buying a Dash for my road bike but have not, because I am not sure about saddle size. The space between my sitbones is small. Do you think this is an issue? Excellent review, well done. Still need to try one, but unfortunately where I live my only option is to buy a Dash saddle. I’ve tried 20-25 saddles in over 3 years riding, all resulted in genital numbness. I hope this is my final and only solution.